Your web browser stores temporary Internet files, which allow frequently visited websites to load faster, but these files may need to be deleted occasionally to free up space and remove old or corrupted files. 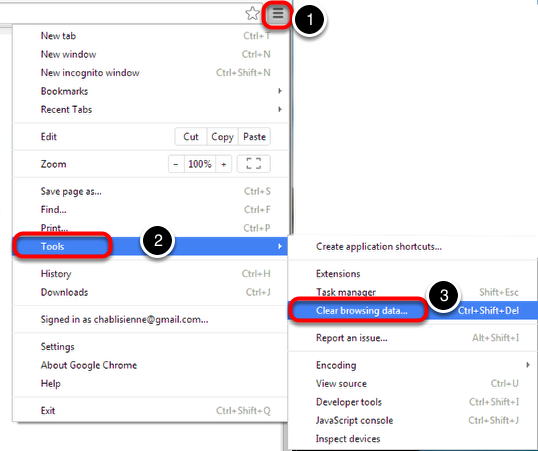 If you are having trouble loading Webmail, it may help to remove your browser’s temporary files. 1. 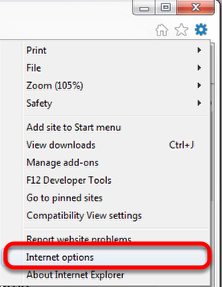 Click the gear icon at the top of the browser, and choose Internet options. 2. 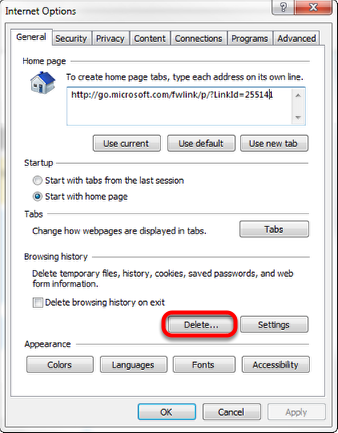 In the Browsing history section, click Delete. 3. 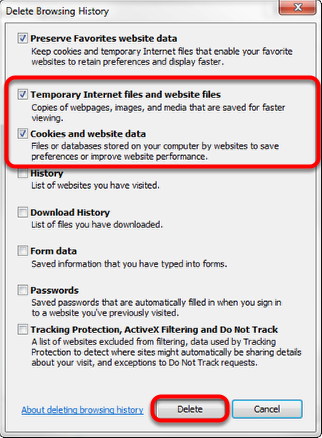 Click to put checkmarks next to Temporary Internet files and Cookies,and then click Delete. 1. 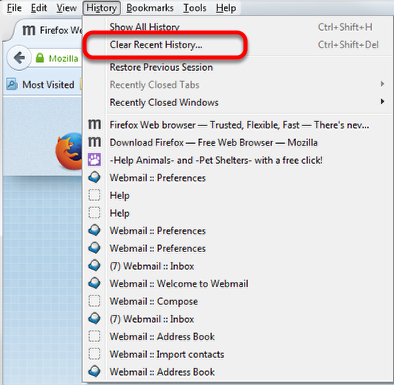 From the Historymenu, choose Clear Recent History. 2. From the Time range to clear list, select Everything. Click to put checkmarks next to Cookiesand Cache,and then click Clear Now. 1. 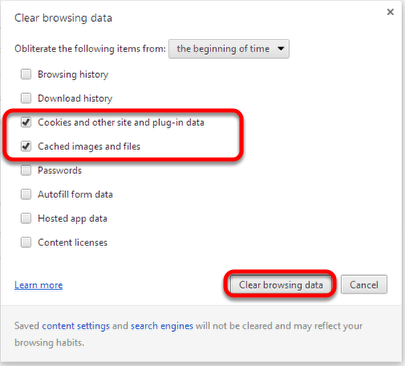 Click the Chrome menu at the top of the page, choose Tools, and then chooseClear browsing data. 2. 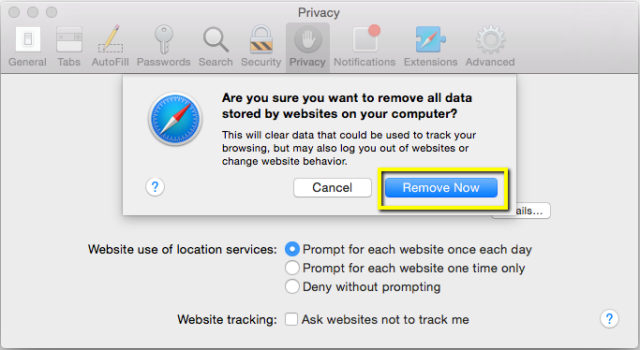 From the Obliterate the following items from drop-down list, choose the beginning of time, click to put checkmarks next to Cache images and files and Cookies and other site and plug-in data, and then click Clear browsing data. 1. Click Safari in the upper left hand side of your screen. 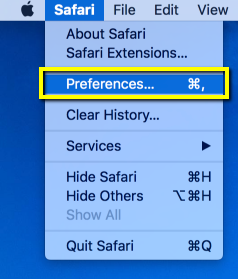 In the menu that appears, click Preferences. 2. In the window that appears, click the Privacy tab. 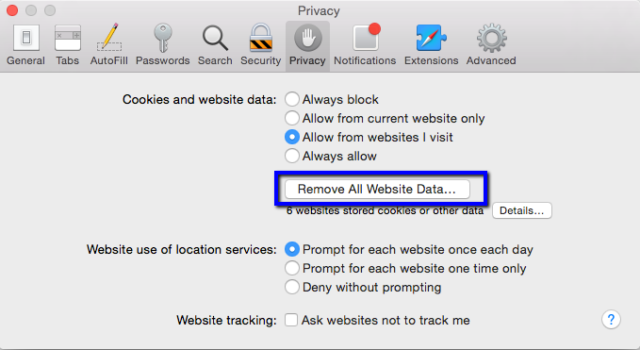 Click the button Remove All Website Data….